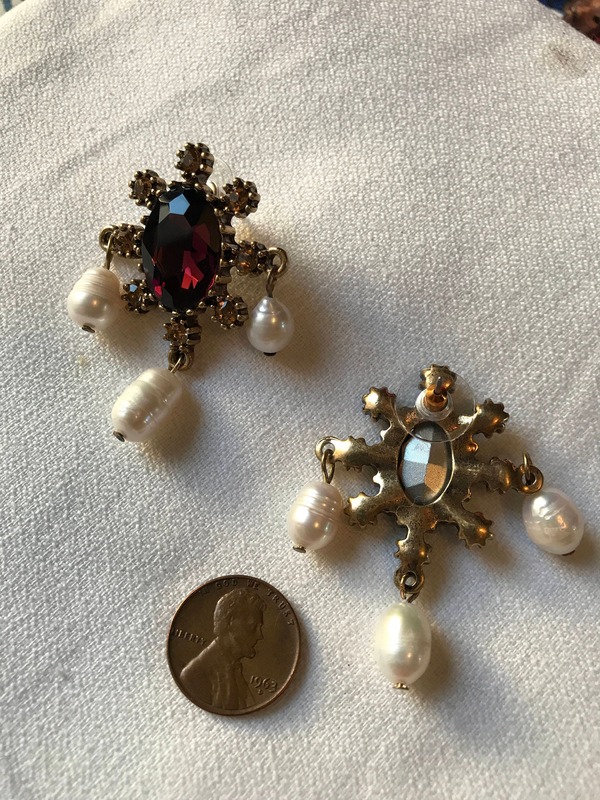 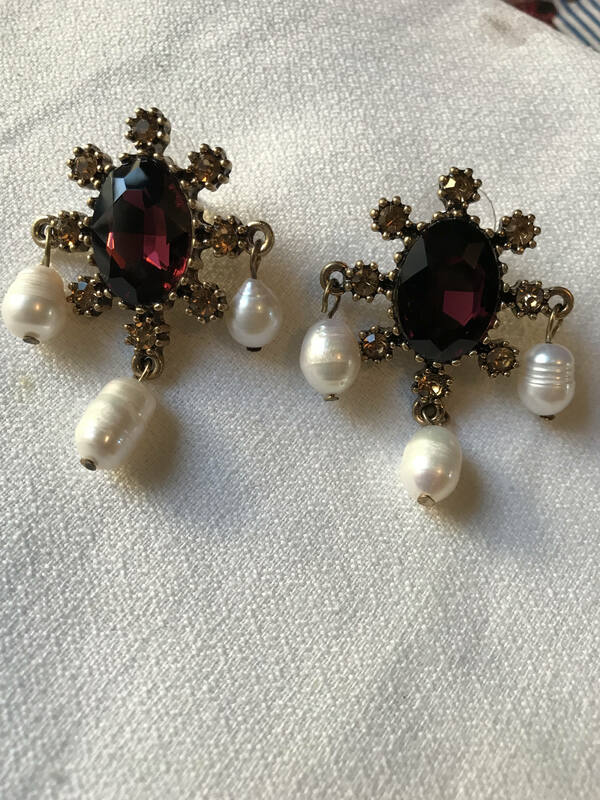 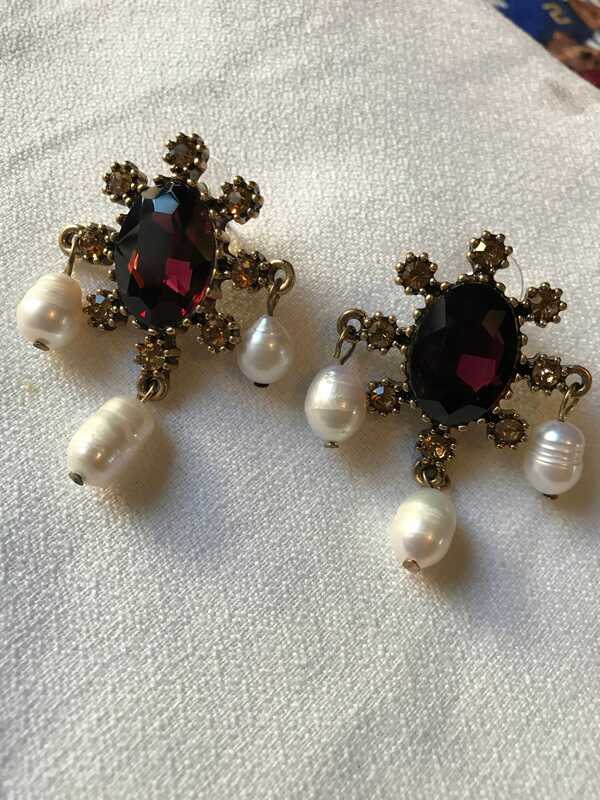 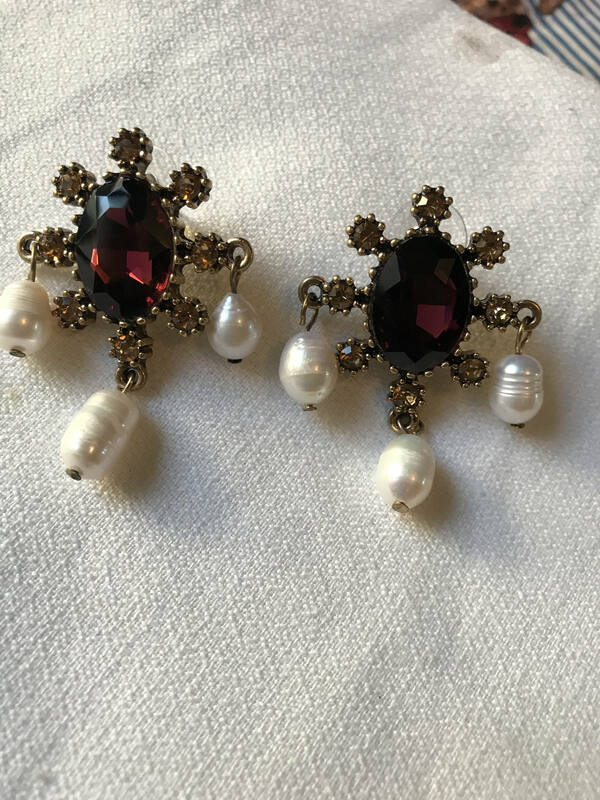 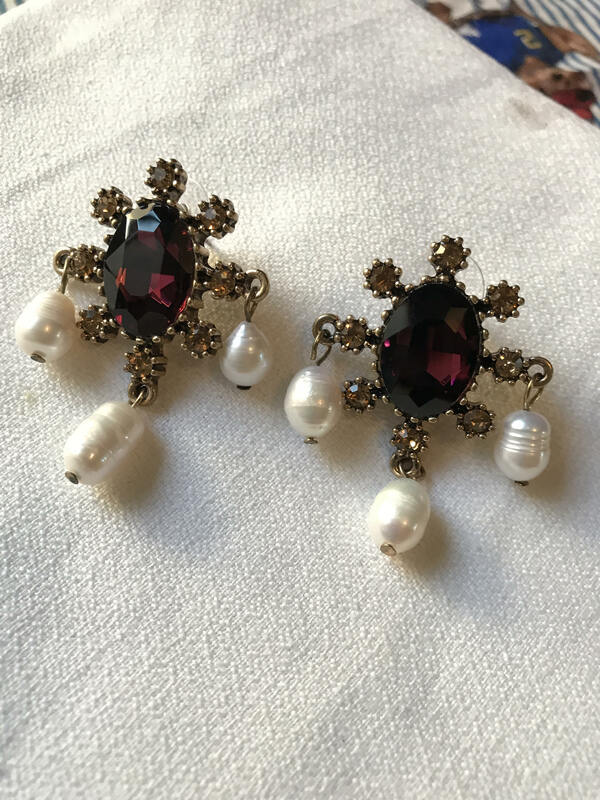 These beautiful pierced earrings have genuine dangling pearls with amythest and topaz rhinestones. 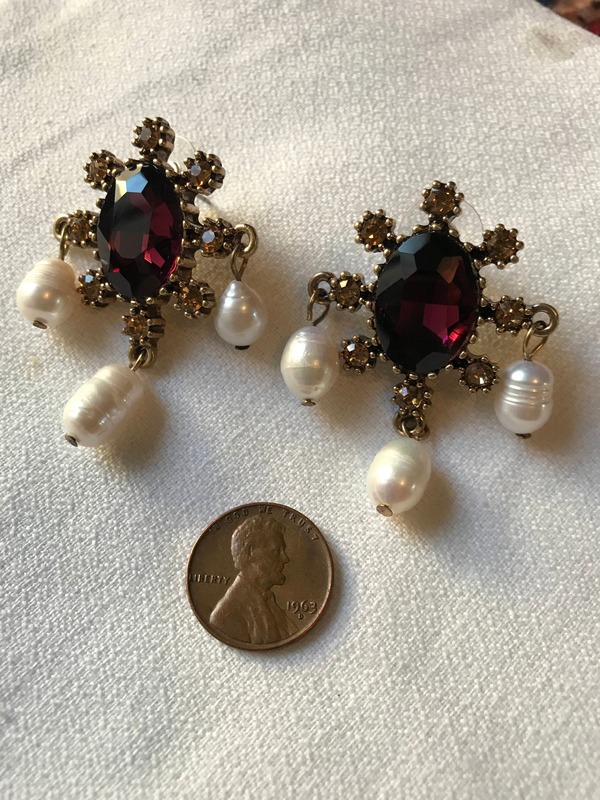 They are 2". 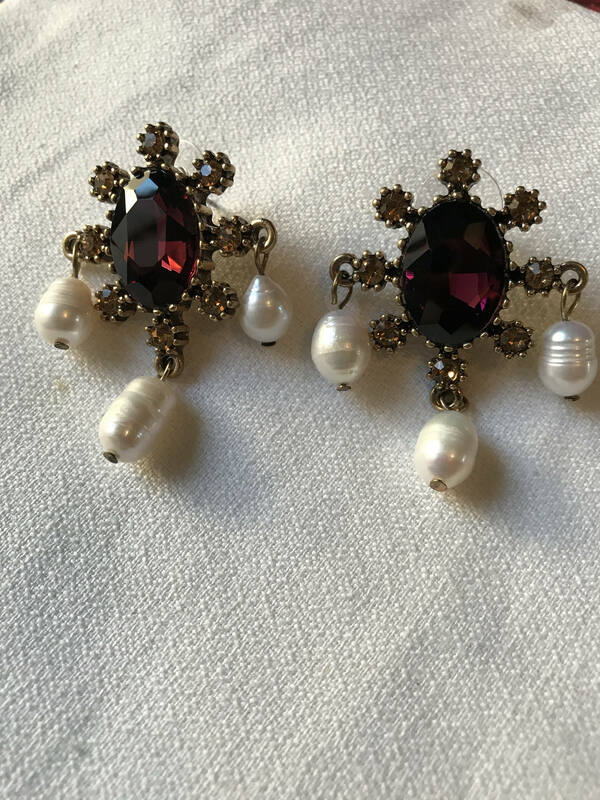 Gorgeous earrings!